Three days of Catan can lead to a lifetime of memories. Unless you have Alzheimer’s. Do you love Catan? No, no, I mean love Catan? Then there is a convention for you. 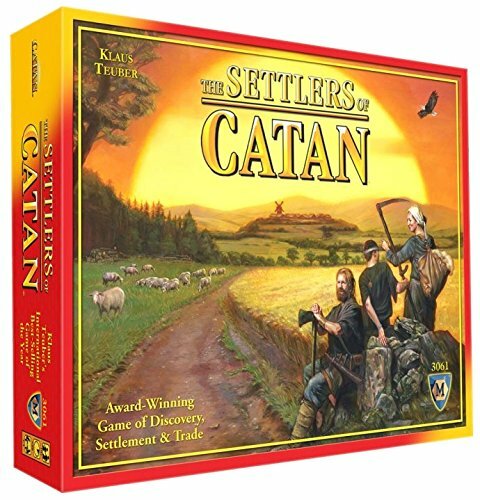 Mayfair Games is hosting Catan Con 2015 in Nashville, Tennessee from April 24-26. The three-day event will be a eye-exploding good time of Catan, Catan, and more Catan. All things Catan. Plus, Mayfair will have many of its other games on hand, which includes a lot of things that are not at all like Catan. You know, if you need a break from Catan. If you’re really good at Catan, you can enter the Catan National Championship Qualifier. The first place winner receives a trip to Gen Con 201, where you are guaranteed a spot in the National Semi-Finals. Three-day badges are on sale now for $45 (children 11 and under get in free). You can find more details about Catan Con here.